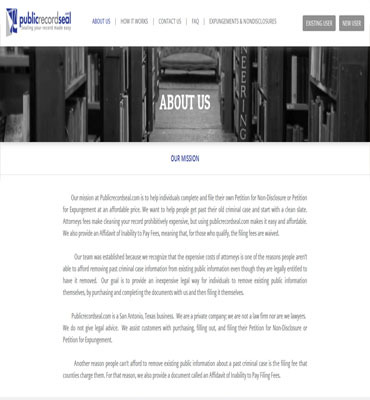 Publicrecordseal.com is a San Antonio, Texas business. 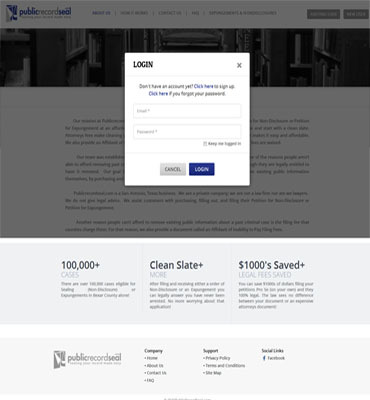 The mission at Publicrecordseal.com is to help individuals complete and file their own Petition for Non-Disclosure or Petition for Expungement at an affordable price. 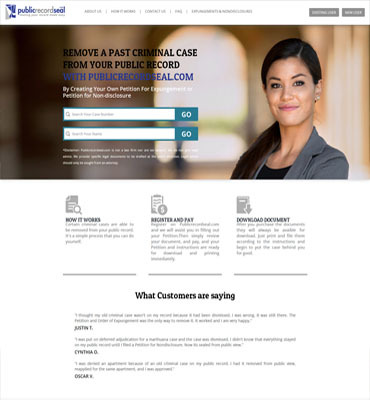 Publicrecordseal.com allows you to look-up your case and sees if you are potentially eligible for an order of Non-Disclosure or an Expungement. Once you locate your case information, you can complete the petition, print it, and file it at the courthouse on your own. 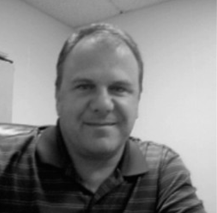 You don't need to pay thousands to a lawyer to get your record sealed or expunged. 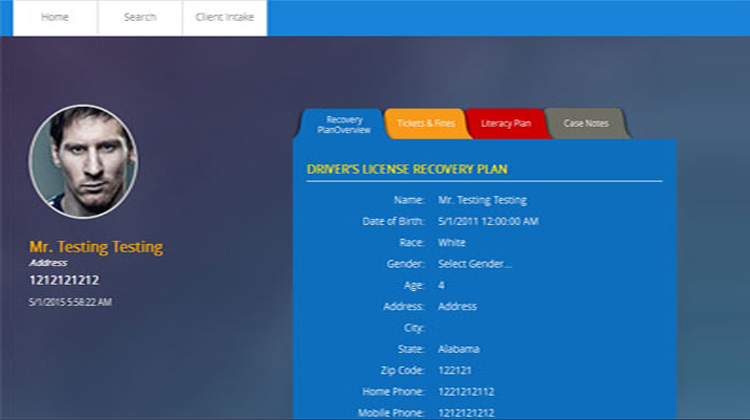 The Clients objective was very clear and to reflective the objective we had to move with better UI. To overcome all the challenges our development process ensured that the key elements are thoroughly examined and developed for ease of use and require minimal IT knowledge to get started. The team was continuously researched to make the features compatible as per the desired frameworks and technologies. We focused the design on the user interface, and keeping in mind scalability and the addition of future modules. 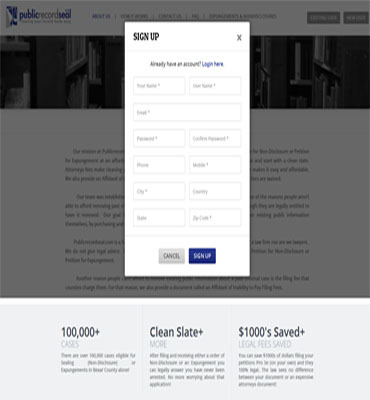 Stored electronic document to any type like PDF, word processing files, etc. Restrict the access to files. Development Process Our developers worked on different modules of the website and ensure its seamless working with high-end performance. We deeply analyzed every aspects of the system to make it robust and scalable. The team kept me on track and moving forward. If it were not for their diligence I would have never ..